So I didn't get a (dream) job at Sugarpill, and all these other job rejections have only been further fueling my financial insecurity. I am trying to collect funds not just to support my love for makeup over on Instagram, but for assistance in everyday living. Please consider shopping through my beauty 'garage' sale here and feel free to DM me on twitter, or Line message me @ mutokki about any questions you may have. If you are uneasy with fulfillment through PayPal invoices, I am open to listing item(s) on Depop. All listings are posted without shipping costs, so please keep that in mind. Shipping may vary from anywhere to 6-24$ due to buyer's location and the number of items selected for purchase. First come, first served; listings will be unavailable after payments process. Sugarpill released 4 dark shade extensions to their Pretty Poison lipstick line and this post will be focusing on Shiver, a metallic blue. Ever since I missed out on Melt's original DGAF blue lipstick, I'd been itching for a similar tube replacement. I did this look in an attempt at a Fyrinnae contest on Instagram recently. I wish green wigs didn't reflect off of my skin so much, it makes color correcting difficult for me. The beautiful flower crown was handmade by Nayeon, and she took a lot of portraits for me as well. 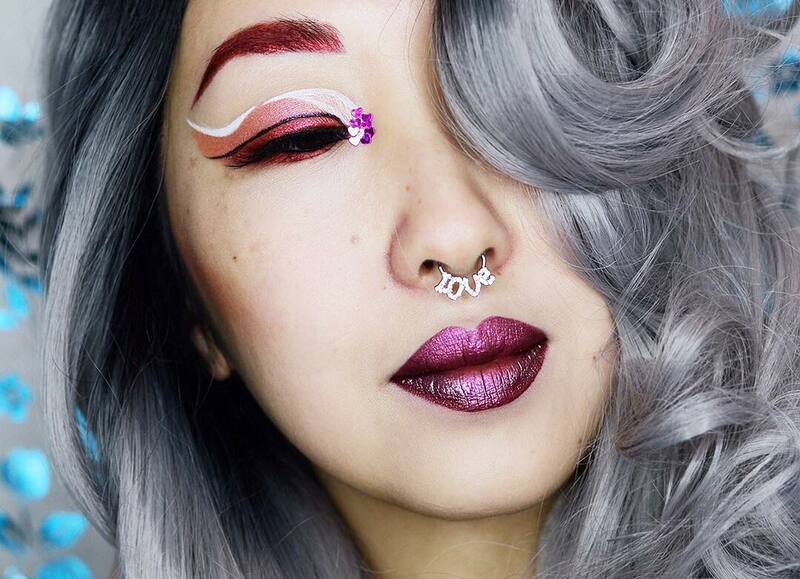 Back in February, Sugarpill released their limited edition Valentine's collection called Feline Fancy! It includes a 4-pan eyeshadow palette, a "deep metallic oxblood red" liquid lipstick, with adorable themed artwork by Brandi Milne. Review and more swatches after the cut.